INDIANAPOLIS, Ind. — Gov. Mitch Daniels’ signed a bill that could increase the use of E85 – a blend of 15 percent petroleum-based gasoline and 85 percent ethanol – on campuses and school grounds throughout the state. House Enrolled Act 1193 was passed in overwhelming fashion by both the Senate and House of Representatives. Indiana Gov. Mitch Daniels signed a bill that could increase the use of E85 on campuses and school grounds throughout the state. Alting said by increasing the availability of E85 on school grounds and campuses, more flex fuel and biodiesel vehicles could be included in the fleets used to transport students and driven by faculty. House Bill 1193 could also save schools money by giving them access to state tax breaks and incentives currently offered for those who produce and/or use biofuels. Businesses like Crystal Flash Petroleum in Marion County and Family Express Corp. in LaPorte County have already taken advantage of the grants which became available last year and have since provided more than $135,000 for E85 sales, according to Alting. Funding for these grants comes from corn check-off funds and has no cost to Indiana taxpayers. 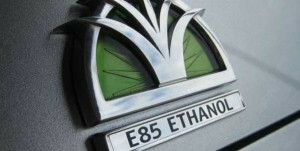 Indiana’s office of Energy and Defense Development says that E85 is a clean burning, high octane fuel derived from renewable sources produced in the United States, thus reducing the nation’s demand on foreign sources of energy. E85 decreases the harmful emissions found in gasoline while increasing the fuel’s octane rating. Way to go Indiana! I hope more states follow your lead!